Lucia Chiocchio is a Partner at Cuddy & Feder LLP and concentrates her practice in zoning and energy law, with an emphasis in telecommunications. Her background in environmental engineering allows her to integrate technical experience into her representation of landowners, developers, and the telecommunications industry. She uses her multi-disciplinary experience and extensive knowledge to manage consultants and formulate approaches to successfully advance projects through complex and sometimes controversial permitting and approval processes. She has a proven record of developing strategies to achieve client goals and avert litigation. When litigation is inevitable, her strategies result in a sound record. Lucia regularly appears before municipal and state boards, commissions and agencies. She frequently lectures at Continuing Legal Education Seminars on land use, zoning and telecommunications issues. Prior to becoming an attorney, Lucia had a successful engineering career where she served as project management for several utility clients. Lucia is admitted to practice in the States of New York and Connecticut. She is a director of the White Plains Bar Association. She served as President of the Westchester Women’s Bar Association (WWBA) and was a co-founder of its Environmental and Land Use Committee. 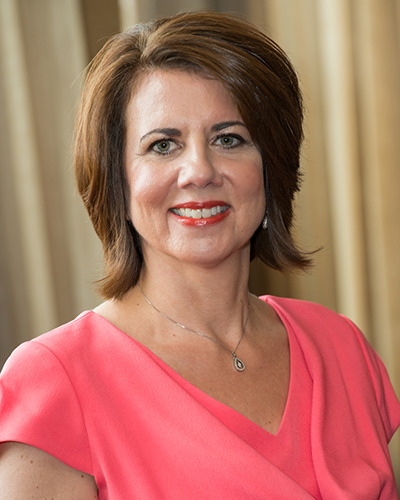 She is the New York City Representative for the Women in Wireless Leadership Forum (WWLF) and a sponsor of the Westchester / Putnam Chapter of the NYSSPE. Lucia also serves as Counsel to the White Plains Beautification Foundation. In 2009, she was awarded the Above the Bar Award for the Most Promising New Attorney.